Building your own furniture might sound like an unachievable feat to those that struggle with the patience of building flat-pack furniture. Certainly, it’s not as convenient as going out to the shops – and you’re unlikely to want to upholster your own sofa – however for those more basic items the pros could greatly outweigh the cons. 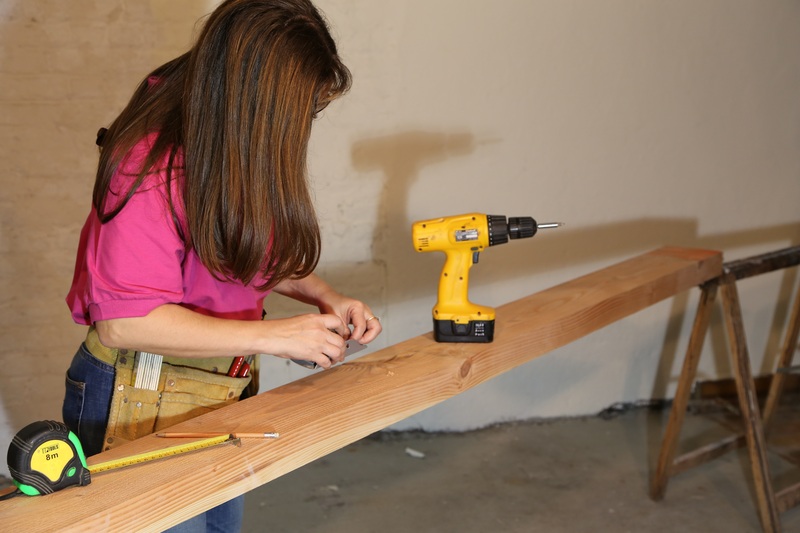 Here are just a few of the benefits to building your own furniture. Building your own furniture is much cheaper than buying. You can build a wooden bed for a third of the price of buying one. If you haven’t already got tools, you can quite cheaply buy a kit. You needn’t shell out on hefty woodworking equipment – if you really wanted to use a band saw or a sanding machine there are many places that can rent them out. Lumber meanwhile can be bought at many DIY stores, or bought affordably online. Need a desk to fit the exact measurements of the corner of a room. Want to work a shelving unit into a small cubby hole. Making your own furniture allows you to design to your exact needs. You can choose any material, shape it to any funky design and match it to any colour. If you’ve bought a home, you can furnish it exactly to your image. The web has made it easy to find parts of all kinds. There are sites that sell all the fiddly mechanism parts such as drawer runners. Screws of specific shapes and dimensions that might have before required trekking to multiple hardware stores can now be located online. 3D printing technology has further enabled possibilities, allowing complex and small rare parts to be easily replicated. If you’re looking for a specific part that you can’t build yourself, you could always ask a 3D printing company to produce it for you. You know that feeling when you cook a meal from scratch instead of buying a microwave meal, or that feeling of completing a Lego sculpture as a kid? The same feeling of proud accomplishment applies to furniture – except you’re getting even more use out of it. Building your own furniture can also be a great group activity. If you have kids you can get them involved and get them into DIYing early. Most furniture is mass-produced. This involves using factories to manufacture them and container ships to transport them, all of which is chewing through fossil fuels. Making your own furniture is much greener, which may be a plus for those wanting to do more for their planet. Those wanting to go extra green can also opt for soy adhesives and low VOC paints that are much cleaner. These are generally about as affordable as normal glues and paints, so you can be environmentally friendly and cost-efficient. I can’t agree more, I love creating my own furniture, it all started when my wife wanted a dressing table but couldn’t find one she wanted in stores. The only problem these days is there’s a long list and not enough of my time ! That said, every piece I make is unique (with their own mistakes) and there’s love in all of them, I’ve saved thousands over the years! I love this idea and frequently scout Pinterest for ideas we can do during the summer vacation. My husband (a Renaisance man if you will) has started building more furniture pieces last summer. He outdid himself with very stylish coffee tables, a kitchen islands and even some lamps. Do you have any images of your finished pieces?